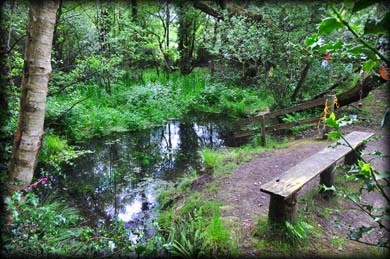 This is without doubt one of the most peaceful places I have visited in Ireland. 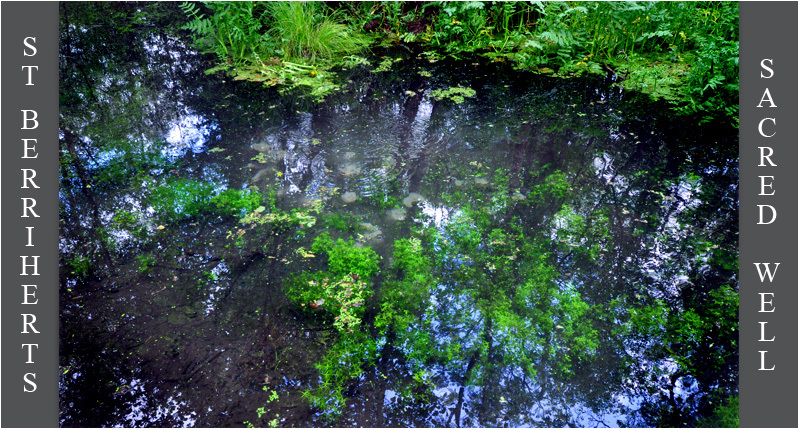 It is just wonderful to sit here and watch the water bubbling up from the sandy bottom of the pond. Concentric rings of water continuously spread out across the surface of the pond. 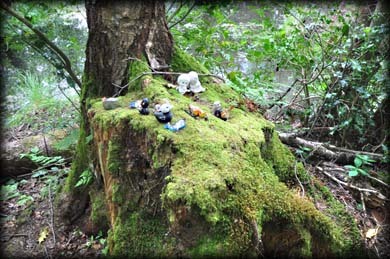 Even though I had the place to myself there is evidence of the many visitors to this ancient sacred place. 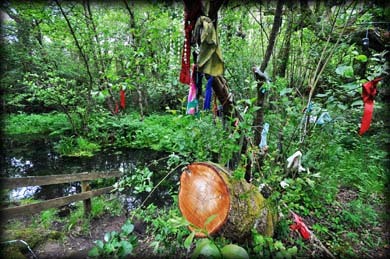 All around the well trees are adorned with colourful rags/clooties and many votive offerings are also placed around the site. 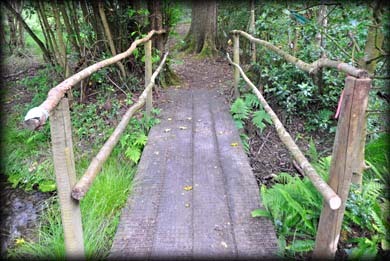 A wooden trackway across the marsh takes you toward this tranquil spot. At certain times cattle may be grazing in the surrounding meadows. The well is located just 170 metres southeast of St Berrihert's Kyle. Situated: See St Berrihert's Kyle. From there go through the wooden gate to the east and follow the track across the fields and then go through the farm gate. Discovery Map 74: R 9484 2866. Last visit June 2015.